“Courage is the first step to greatness”, poet Johann Wolfgang von Goethe once said. And he was right, especially if you apply this quote to the beginnings of Edel-Optics. 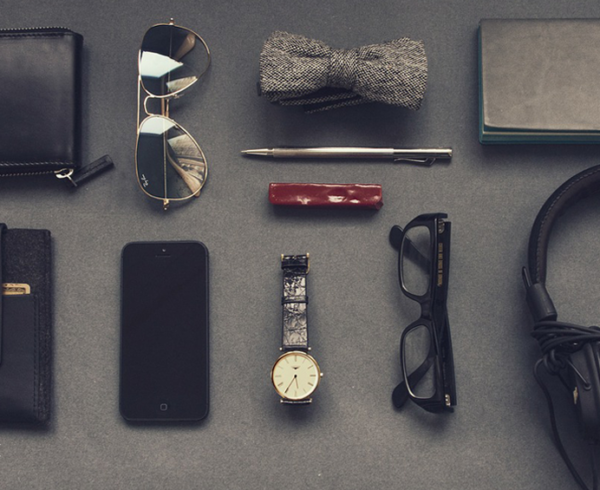 Because it did require courage to found a company that initially offered sunglasses and subsequently glasses online. The challenge back then was to digitalize optician visits and this concept has been working very well for the past ten years despite numerous competitors in the retail business. It all began in London in 2005, when the Hamburg-born Managing Director of Edel-Optics Dennis Martens founded the online optician London Eyewear Ltd. together with a partner. Despite a successful start, Martens left the company because of differences over the company’s strategy. But as luck would have it, this resulted in him founding Edeloptics GmbH together with his new partner Tomislav Karajica, a school friend from Hamburg, at the beginning of 2009. Karajica proved to be the perfect business partner. While Martens specializes in web shop solutions, Karajica has a wealth of experience in finance and financial planning. As a graduated civil engineer he also successfully manages Imvest Group, which is firmly established on Hamburg’s real estate market when it comes to project development, planning and residential construction. The two founders are a well-attuned team since they have known each other for almost 30 years. The longstanding friendship has resulted in great trust, which is always an excellent basis for good business. The synergy between the two experts soon bore fruit and first profits were generated already in the founding year. The right building blocks were laid for a successful start, including, among other things, the self-developed innovative shop system whose programming facilitates the smooth processing of any number of languages, currencies and tax rates. This allows Edel-Optics to quickly and cost-effectively expand internationally. 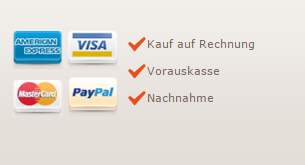 The first international online shops were launched in the founding year and only two years later, 70% of revenues were generated outside Germany. Today, Edel-Optics offers individual online shops in 53 countries from Australia to Venezuela. As part of its growth strategy, the Edel-Optics retail brand has also launched personal brands such as, among others, the joint venture JB by Jerome Boateng designed by football star and fashionista Jérôme Boateng. The cooperation began in 2016 with the first collection Cities of my Life, which was named after cities that play a role in the top athlete’s life. 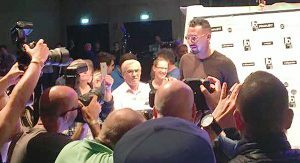 In 2017, Boateng presented at the edel-optics.de arena in Hamburg-Wilhelmsburg his second eyewear collection#teamJB17, which reflects different aspects of his versatile personality. The current collection#BOAconnection is dedicated to Boateng’s innermost circle, family and friends. Another collaboration was launched in 2018 with TV presenter Sylvie Meis, who is also a Hamburg resident. The Dutch national launched the first sunglasses collection of her Sylvie Optics brand in her adopted hometown in March. The sunglasses created for power women under the slogan “There is no him in hero” are exclusively available at Edel-Optics. Edel-Optics also has a very special partnership with the Hamburg Towers basketball team. The ProA team is not only fighting to win at away games and home games at the edel-optics.de arena, it is also fighting for the prospects of young people in Hamburg-Wilhelmsburg. Hamburg Towers Manager Marvin Willoughby received an Order of Merit of the Federal Republic of Germany in 2015 for the social sports project Sport ohne Grenzen (Sports without Borders). 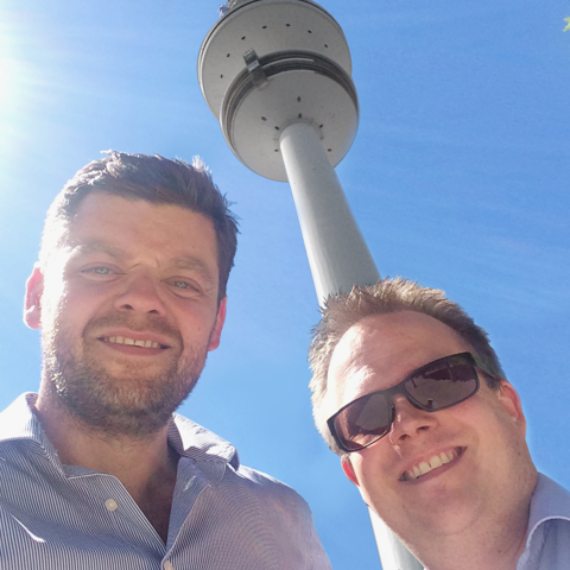 To support the Hamburg Towers as a sponsor is a matter of the heart for Edel-Optics as a company firmly rooted in Hamburg. No other urban sport combines youth culture and lifestyle better than Basketball, thus making basketball the perfect fit for Edel-Optics’ brand profile. Edel-Optics is growing ever more and the same applies to its assortment, brand diversity and cooperations. The company has outgrown its current offices at Hamburg’s Gänsemarkt by now and is moving to its new home on the Reeperbahn just in time for its 10th anniversary. The new office building is a real Hamburg Thing, bringing together freelancers, start-up founders and business experts. The co(ol)-working space project by Home United brings together on five floors everything St. Pauli has to offer. With an urban art gallery, adrenaline lounge, microbrewery in the basement and a roof terrace the question is: Are you still working or already living? Those who want to treat themselves to an Astra beer after work while enjoying a harbor view simply have to roll into the elevator with their office chair. So let’s see what the future holds in store, but one thing is sure: No other optician offers more choice, a more customer-friendly shopping experience and cooler brand ambassadors. Together with our fashion- and style-conscious customers, friends and business partners we look forward to the next 10 years under the motto SEE AND BE SEEN!